If I were a crayon, I would color the world so that everyone – every single person – would see how wonderful my daughter is. I would color the world to be willing to open doors to allow my daughter to take part in a fulfilled life, rather than slamming the doors shut in her face and telling me that they can’t help her. If I were a crayon, I would color autism every possible color and I would make it so that all people who are on the autism spectrum would no longer be labeled as “disabled” or “developmentally challenged.” I would change the color all of the stupid tests and ICD codes that can completely derail an autistic person from getting the services they need to live up to their fullest potential. 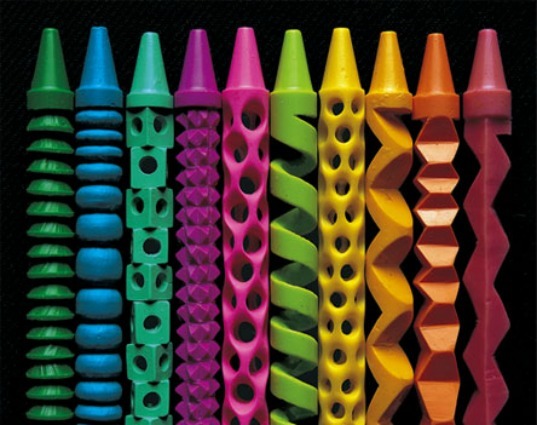 If I were a crayon, I would be black…the color that can wipe out all the other colors. I would wipe out all of the stupid, hurtful ‘theories’ and ‘studies’ that use pseudoscience to blame immunizations, medications, alcohol, or any other possible contributory factor for the upswing of autism diagnoses today…then I would switch to white. White is the color that can accept all the other colors. White is the color that can include all of the wonderful and terrible colors of autism. White is the color against which all others can shine…and by extension, white is the color against which our children – our beautiful, wonderful and capable children – can be seen as the treasures they truly are. ← We’ve got crab legs!! !